The SEAT Leon FR+ Supercopa has just been released with prices starting from £22,530 for the 2.0 TDI 170 PS six-speed manual model. 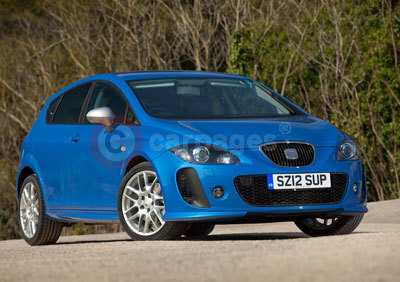 The Supercopa is basically the Leon FR+ model fitted with £3,000 SEAT Sport body kit for just £750 more. The body kit includes extensively re-worked front and rear bumpers, side skirts, a more pronounced tailgate spoiler, bespoke BBS 18-inch alloy wheels and unique chrome-tipped, twin exhausts and badging. The Supercopa is constructed by the very same engineers at SEAT Sport who have nurtured SEAT’s WTCC title-winning race cars There is a range of colours – including Nevada White, Emoción Red and Speed Blue, shown in our image. There is a choice of either 2.0 TSI 211 PS petrol or 2.0 TDI CR 170 PS turbodiesel engine. The SEAT Leon FR+ Supercopa comes with the SEAT Media System 2.2 which includes satellite-navigation with five-inch colour touch screen and dynamic route guidance, DAB radio, Bluetooth audio streaming and SD card slot; Bluetooth phone connection; bi-xenon headlights with AFS (Adaptive Front-lighting System) and rear parking sensors. � �Jenson Button led the Brawn GP team to victory in the season-opening Australian Grand Prix today, achieving his second Grand Prix win and capping a stunning debut race weekend for the British-based team. Team-mate Rubens Barrichello brought his BGP 001 car home in second position to achieve the first one-two finish for a new team since Mercedes-Benz in 1954.
ing from a broken back and neck vertebra. the 2001 Polo Cup title. experience that we had access to. is the Seat as a racecar? Seats overseas are completely different. year, and who is your biggest rival? last year�s champion Iain Pepper. great gob in his new Opel Astra OPC. do you think that Class T is the future? of Anthony Taylor in the second BMW. (Nissan 350Z), worked his way into third. For the full article please see CAR magazine September 2008 issue page 155 and 157. SEAT�s main premise in this initiative is to centre on achieving excellence in customer service. A pleasant, professional welcome, a dealership atmosphere able to convey sportiness, design and vitality, and extraordinary knowledge of all the vehicles are some of the aspects that SEAT is promoting in all of its dealerships. 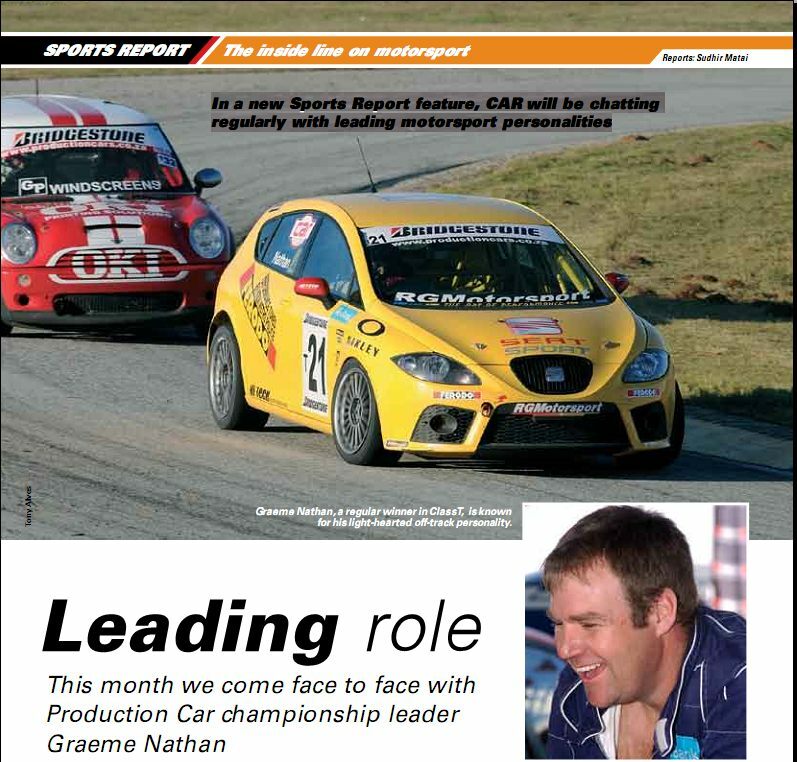 The SEAT Sport team came to the fore this past Saturday, showing great promise as they managed to qualify Graeme Nathan in Pole Position and leave Kyalami with a victory in their first race weekend. 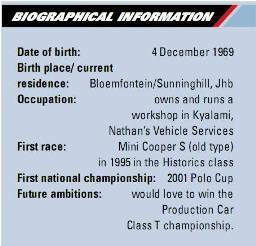 The two SEAT Leon Cupra�s of Graeme Nathan and Phillip Kekana were only finished 10 days before the race meeting and by all accounts should be undergoing an extensive development programme. Instead, they gave notice of their intention to dominate South African motorsport with an emphatic display of outright pace and reliability. An electronic niggle hampered Phillip Kekana�s progress as he tried in vain to overcome an ESP gremlin which surfaced on race-day. Despite this, Phillip managed to keep his Leon Cupra both on the pace and on the track, despite a torrential rainstorm, reminiscent of a monsoon. Phillip never put a foot wrong, driving well within his limits in order to bring the car home in one piece. It was Graeme Nathan who threw caution to the wind, leading the pack from pole position before being overtaken during the safety-car period. Graeme was compromised by the driver ahead of him who drove defensively, slowing him to the extent that a second driver managed to pass him, thus relegating him to third. In race 2, Graeme led from flag-to-flag, winning the race and setting a new lap record in the process. �We couldn�t have scripted a better start to our motorsport career with SEAT,� quipped an ecstatic Team Manager, Martin Steer. 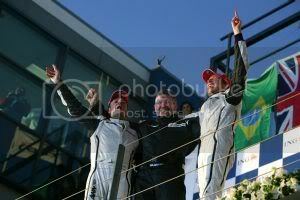 �Pole position, a race win and a lap record, all on debut. It doesn�t get better than that,� he enthused. 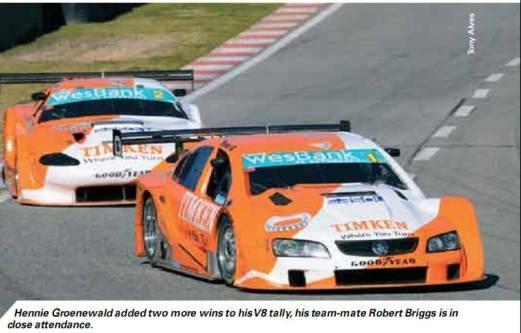 �SEAT�s debut at Kyalami on Saturday was both exciting and emotional for the brand. The win and new lap record achieved by Graeme Nathan in the Leon Cupra only confirmed what our customers already know � that SEAT�s sporty performance is second to none in its class. The day was a triumph for the brand and a public declaration of the competitive spirit of SEAT Sport in the motorsport arena. We look forward with keen anticipation to the 2008 motorsport season� said Carrin Merkel, SEAT Sales and Marketing Manager. 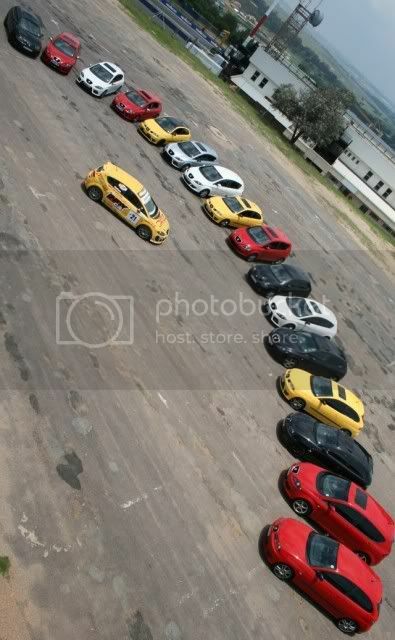 Where is the CUPRA ? I have to wonder why we have had to wait so long for the CUPRA to arrive. Surely we should have had it six months ago, it seems VW are intent on ensuring that the CUPRA does not take sales away from its upcoming GTI-R models or S3 both of which are pretty much the same thing with the S3 have a bit more go for a lot more money (188Kw for R336K). I have to feel that delaying this is going to cost them in sales overall. VW set a trend with their performance models and have a superb motor in the 2.0FSI and 2.0TFSI. However they don�t exploit their advantage and I don�t understand this. Are they trying to create exclusivity by limiting the numbers that their cars are available in. As we have seen in the past GTI�s were being sold for R50K above book simply because they had one. And now with the CUPRA they seem to be holding back till the GTI-R gets its big debut and then the CUPRA can follow the main act even if it�s been ready for months. Well here is the main concern I have with this. Reading today�s news 24 and looking at the Mazda3 MPS they have piped VW to the post by launching a 191KW pocket rocket. This is surely going to be very attractive as an alternative to many in the market for something lively. Let�s face it the Mazda3 and LEON could be twins separated at birth in the looks department. With an advanced driving course thrown in that could easily be a deciding factor for many. It all boils down to the CUPRA with its hot 177KW Motor being down 14Kw on a car that costs 10K less and comes not only with the performance brakes as standard but also with a advanced driving course. It�s seems VW got caught napping due to internal red tape.